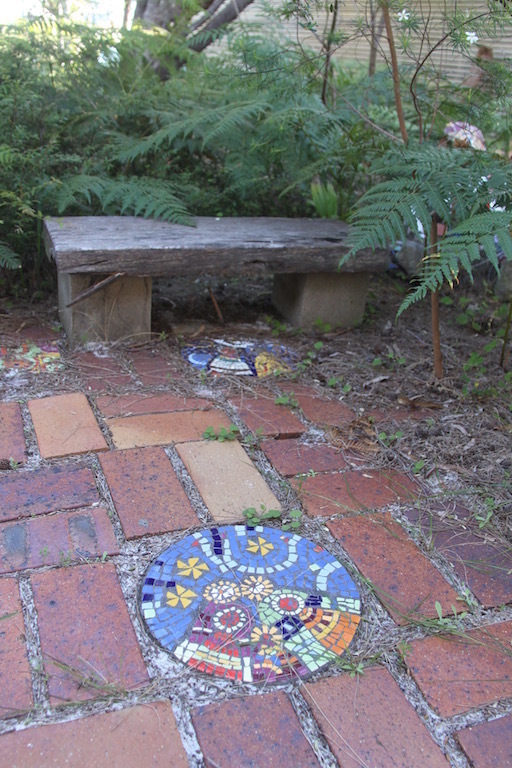 You don’t have to be a practising artist to add artistic touches in your garden. 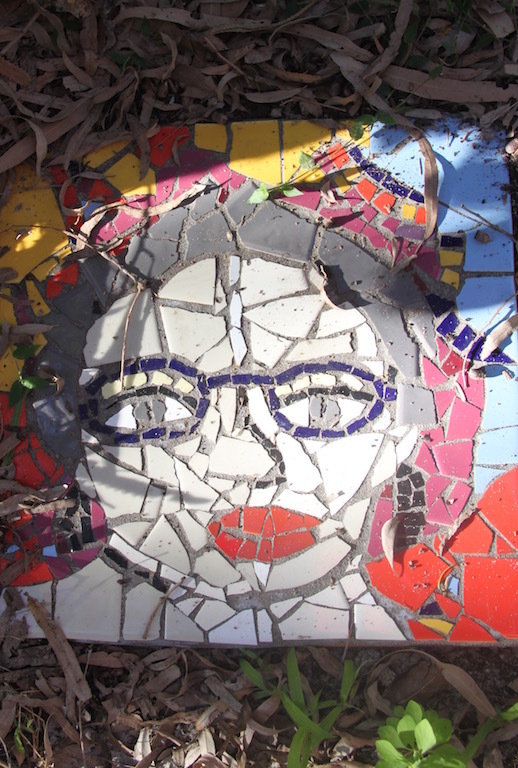 This stepping stone is part of a family series created with the help of grandchildren. Each child has their own step and of course there is Grandma. 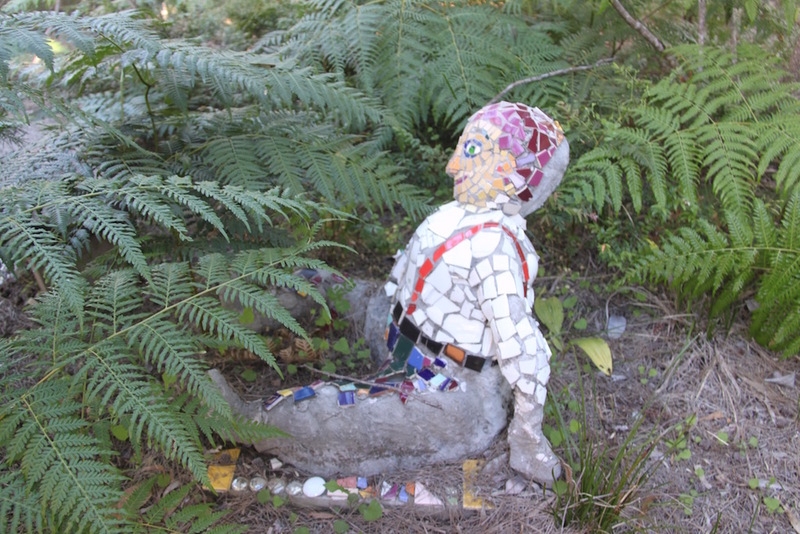 If you have a creative bent, you can design your own pieces, like the mosaic man who sits in a patch of Bracken Fern in a totally natural bush garden. 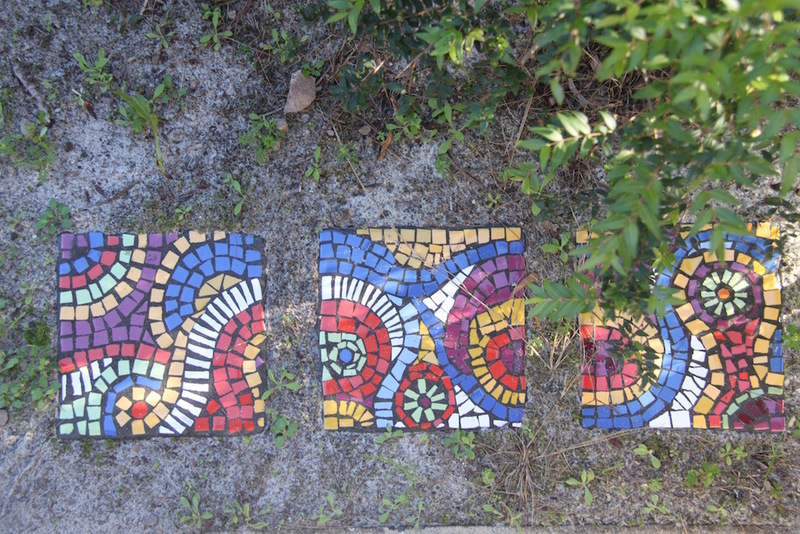 Mosaics are a wonderful way to enhance a garden by providing a focal point, and they work beautifully with the informal, relaxed look of native gardens. Thank you Micky for sharing your work.